Every August, Swarthmore students share in the fun and excitement of welcoming a new group of people to the community we’ve grown to love. Last fall’s happiness was tinged with dismay, however, when students learned that one of the most popular orientation traditions, the Welcome Play, had not been an official part of the week. It had been changed from a required event to an optional one and held in the amphitheater instead of LPAC, lowering the quality of sound and seating. Previously, the play had served a beloved role as the only fully student-run, required segment of orientation — a chance for upperclassmen to welcome the freshmen as a group and speak to them in their own words. The College explained that holding the play in LPAC resulted in an infeasible amount of work for the LPAC employees and money spent by the college, but neglected to clarify why it had lost its mandatory status. It seemed nothing had changed from previous years, so why was the play no longer a priority? I’m willing to believe the administration was considering financial factors that wouldn’t be obvious to a student, but the play’s demotion has turned out to be just one of many recent policy changes that have limited students’ ability to organize fun events. These changes, which include a new restriction on party spaces, constitute an administrative trend that I believe is detrimental to our campus community. Kosmalski’s explanation is disingenuous. If the athletics department wanted solely to increase oversight of student athletic groups, they could have done so in any number of ways. They could have sent faculty to supervise club meetings on weekly or bi-weekly bases, for example, or asked club leaders to keep records of their workouts. Instead they chose a solution that does nothing to increase oversight, but hurts groups by forcing members to take other PE credits at the same time. Kosmalski’s assertion of Swarthmore PE courses’ value is also dubious — courses are only as worthwhile as students want to make them. While the department’s offerings include physically demanding classes such as basketball and swimming, they also feature options like Bowling and “Fitness Training,” more accurately titled “Spend Forty Minutes in the Matchbox.” The extent of the “training” is an orientation during the first week. Compare this to Swarthmore Squash, which meets three times a week for intense, two-hour practices and plays tournaments most weekends in the winter. Squash is not an outlier — student athletic groups, and particularly club sports, tend to be high quality because the students who lead them are passionate and devoted. They have to be — running an athletic group is a lot of work, and many groups aspire to be competitive at an intercollegiate level. Furthermore, unlike the Welcome Play, athletic groups are not just quirky campus rituals: they’re an important part of any college community. They offer students an instant group of friends and access to club-run social events, in addition to a way to stay in shape. Any Swarthmore athlete will tell you student athletic groups are an invaluable resource for mental and physical wellbeing, but the athletics department doesn’t seem to see things this way. Now the administration has announced a third restriction on student-organized fun, one that may put the final nail in the coffin of Swarthmore nightlife. At the OSE’s social-host training last week, Interim Coordinator Kyle Miller announced that this semester, any party in a dorm-connected area such as Wharton basement or AP lounge must end by midnight. This leaves only two non-fraternity spaces available for hosting parties after midnight: Paces and Olde Club. The rationale behind the change seems clear — dorm residents will have to deal with less late-night noise — but pretending that Paces and Olde Club are sufficient to meet the party needs of fifteen hundred Swatties is laughable. With this policy, the college takes away important social venues and without offering new spaces, piling onto the party policy reforms of last fall that caused the number of campus social events to drop dramatically. I don’t believe the administration is maliciously targeting student-organized fun, but I do believe it doesn’t recognize its importance. For further evidence one might look to the new college inn next to PPR, built over the last eight months. This is where the College has chosen to direct its resources after expanding its dorms and student body and before expanding its dining hall. If you find eating at Sharples during the lunchtime rush unpleasant, you aren’t crazy: the building is too small. The Campus Master Plan Final Report, written in 2013, states plainly that Sharples met student needs “in 1970” but “does not have sufficient capacity to serve and seat all students today” and “is overcrowded during peak meal times.” Yet, the College chose to construct an inn for visitors before giving its long-term residents a pleasant place to eat. The message is clear: meals don’t need to be enjoyable. Fun is only a priority for OSE events. The Swarthmore administration is missing something obvious: student-run fun is essential to a healthy and happy college community. The OSE works hard and does an excellent job of organizing large-scale, dry events like the winter formal, but there are things it cannot do. Swarthmore’s rigorous academics and geographic isolation necessitate more stress relief than one organization can provide, and everyone de-stresses in their own way. The College must enable students to make their own fun, or they may do so unsafely or not at all. The administration is doubtless aware that the number of students who used CAPS last semester was twelve percent higher than one year ago, exceeding counseling usage at comparable institutions. CAPS administrators conjecture the increase resulted from psychological services being de-stigmatized, but is it not conceivable that stricter PE guidelines, the near-disappearance of non-frat parties, and an overcrowded dining hall have also played a role? When opportunities for stress relief are eliminated or constrained, college becomes more difficult. 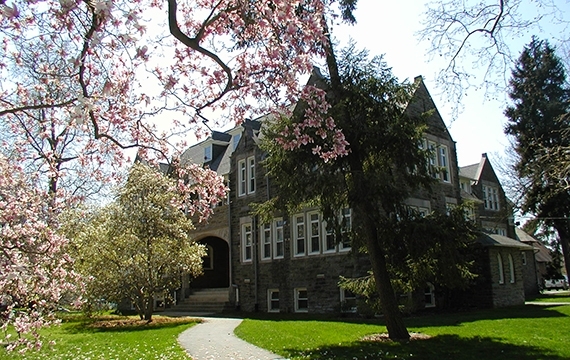 Change is always difficult, and as a senior my perspective on Swarthmore may be colored by memories of the college three years ago. If you agree with me that the administration’s new policies are harmful, however, or are struggling to have fun here despite diligent self care, make your voice heard. Talk to your RA or email your class Dean. Together, we can work to improve our one-of-a-kind community. Correction: [2/10/2016 11:36 p.m.] This article states that parties held in dorm spaces on weekends will only be allowed to go on until midnight. This information is incorrect. A response article from OSE Director Rachel Head clarifies that parties in dorm spaces such as Danawell and Wharton D basement may still run until 2:00 a.m. on weekends. Welcome to the new Swarthmore: corporate and safe, and that’s for both academic and student life. If you don’t like it, stop whining, students, and do something about it, because you play a big part in creating it. Oh gee, shoot, yeah, big mistake when three years ago a bunch of us were like, “Hey, we think maybe the school should follow Title IX guidelines and respond to sexual assault like the national law requires.” (When you sarcastically said “safe,” did you mean less sexual assault? Because news flash: forcing people to hide their parties doesn’t make anyone safer.) Or that time people said, “Hey, we think maybe the faculty should be more diverse.” Or that time we said, “Please don’t cut the amount of time to study for honors exams in half for no reason.” We’re such whiny Millenials! That’s gotta be the whining you and the other person above you are talking about, right? Unless you’re talking about the imaginary whining that gets referenced in those scary, scary articles about how awful and entitled we all are? Last time I checked, no one asked the college to prioritize making money over our wellbeing, or to regularly hire unnecessary administrators. Also, last time I checked, this article wasn’t just whining–it looks a whole lot like a well thought-out critique that includes a plan of action. This article is doing something. Sure looks to me like the person whining here is you, but maybe that’s just my naive perspective as one of those pesky whipper snappers who just doesn’t get it. I’m sorry. That was too mean. It’s simply the result of years of students asking for more and more administrators. “We need the administration to provide X.” “We need an administrator to do Y.” Etc. Now, we are all surprised when these administrators do what administrators do — make rules and restrict student freedom. They’ve got to justify their salaries somehow. “Director Michael Hill further explained how the expansion of OneCard will make Public Safety’s job much easier. So it appears the vision is to not only use formal policy to regulate your fun and interests, but also technological oversight. Interesting. I would have never put up with that. I hope you don’t either. I would love to hear an official response by administrators. I must admit that I feel really lucky to have graduated before all of these restrictions were put in place. I feel like the experience current Swatties have is drastically different from mine. Well written and spot on. I feel it is very anti Swarthmore and anti Quaker to make such opaque decisions that have such an effect on student life and the community as a whole. Reminds me of senior week. Wouldn’t midnight be a bit too early given Swat’s academic load? 1 seems a more reasonable compromise.